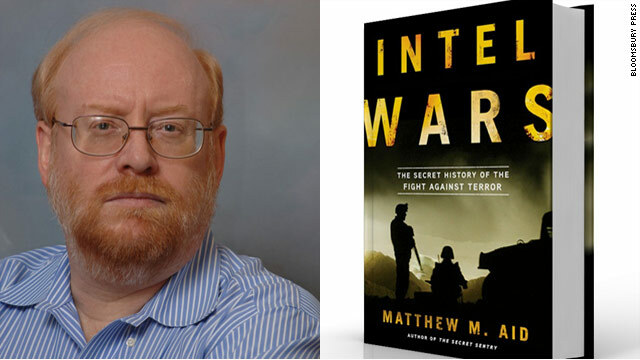 If the devil is in the details, then Matthew M. Aid, author of “Intel Wars: The Secret History of the Fight Against Terrorism,” has written a devilish book indeed. Widely praised for his previous look at the history of the National Security Agency, this time Aid is divulging details about the current intelligence efforts around the world. "Someone showed me the principle national security objectives for 2012," he says over lunch in a Georgetown cafe. "It’s a list of all of the top targets for this year, and virtually every country in the world is on it." It's an indicator of just how important intelligence relationships with other countries are if the United States is to be able to carry out its intelligence goals - all the more cause for concern as Aid carefully lays out the underlying reasons why many of those relationships are ineffective, or strained, at best. He describes the troubled relationship with Afghanistan, saying that the Afghans, many in positions of power, have little, if any interest in advancing the U.S. intelligence effort there. "When I was in Kabul, the former head of the Afghan Intelligence Service, told me that a new station chief had just come in," Aid recalls. "I said, 'How do I get in touch with the new CIA station chief?' And he reached into his rolodex and wrote down his home address, office address, phone number and said, ‘Tell him I said hello.’"